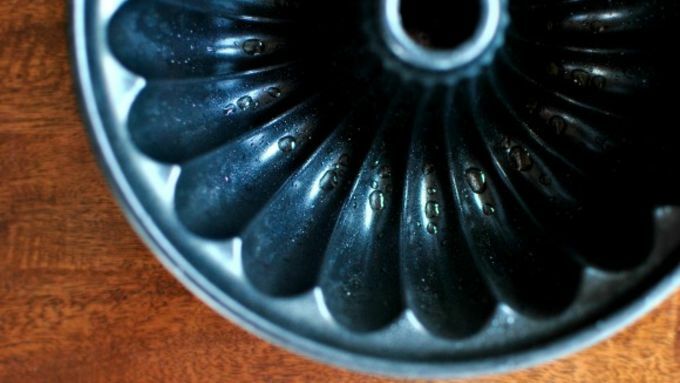 Preheat your oven to 375°F and spray a Bundt pan with cooing spray. Sprinkle a clean surface with a tablespoon of flour. 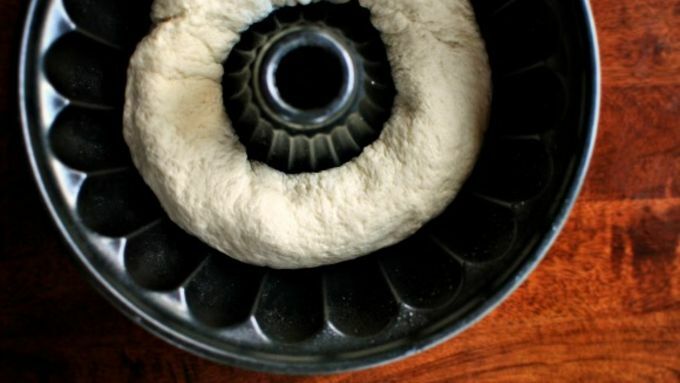 Pop and unroll the package of Pillsbury™ French Loaf dough, and gently roll it into a ring shape. 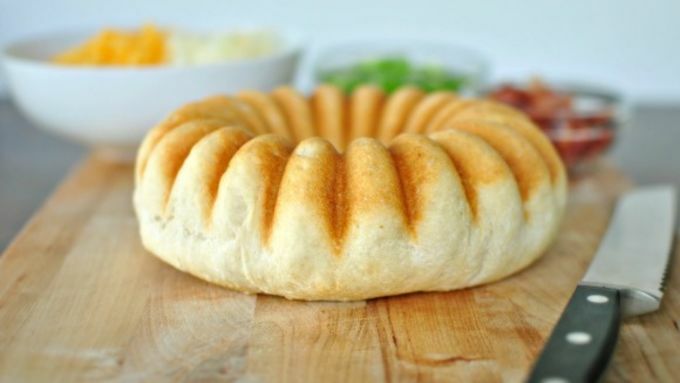 Place the dough ring into the prepared Bundt pan and slide it into your preheated oven and bake for 18-20 minutes. Remove and let cool for 5 minutes before using oven mitts and turning the Bundt pan over onto a cutting board. Continue to let the bread ring cool until safe to handle. Use a serrated knife to cut the bread into sections. Do not go all the way through the bread. Stuff the bread sections with the grated cheese, crispy bacon and sliced green onions. 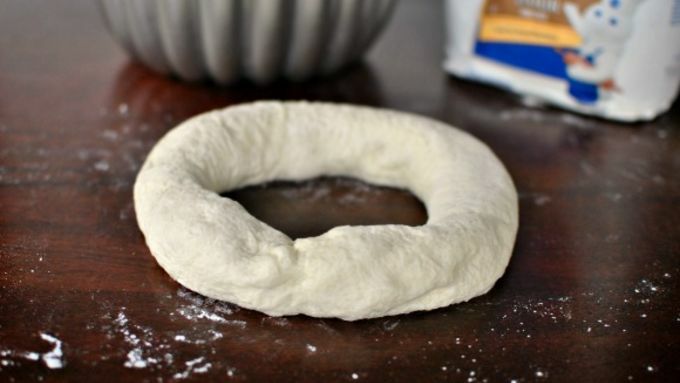 Reduce the oven temperature to 350°F and slide the stuffed ring onto a lined, rimmed baking sheet and place it back into the oven to continue to bake for and additional 10 minutes. 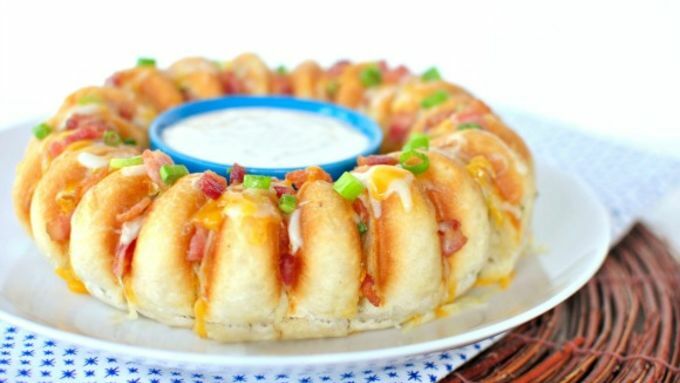 Serve with your favorite dip in the center. When I throw a party it's all about the food. My favorite part of party planning is of course the menu planning. I'll serve anything from a simple cheese and fruit platter to a warm or cold dip with an assortment of chips and toasted bread and my personal favorite, meatballs with those cute frilly toothpicks. However, sometimes impromptu gatherings happen. And it's always good to have an ace in your back pocket (like a Hot Cheesy Party Ring), just in case you find yourself in a situation of guests dropping by and zero time to plan. 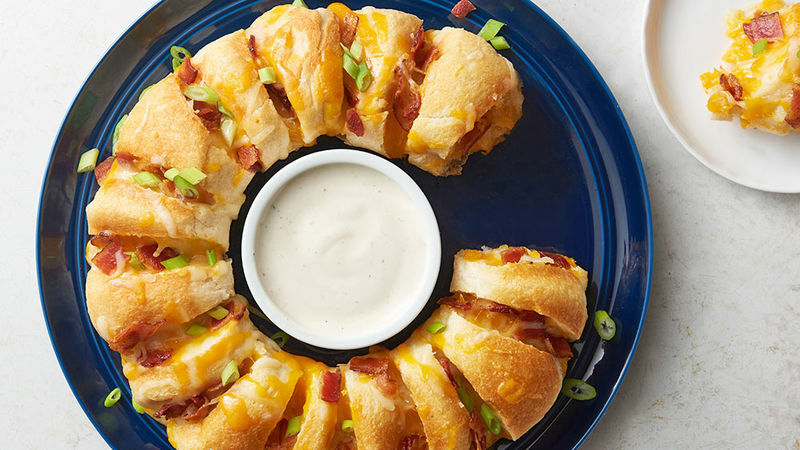 A few things you should always have on hand it is cheese, bacon, green onions and a roll of Pillsbury’s™ French Loaf in the fridge. Those things together can make magic happen... all in about 30 minutes. 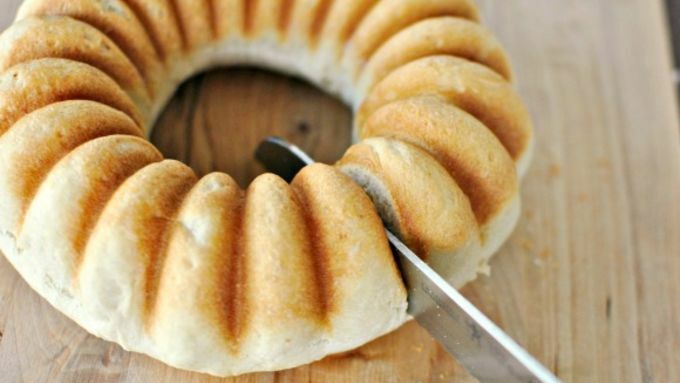 If your Bundt pan is more smooth on top, go ahead and get creative cutting X's around the ring! 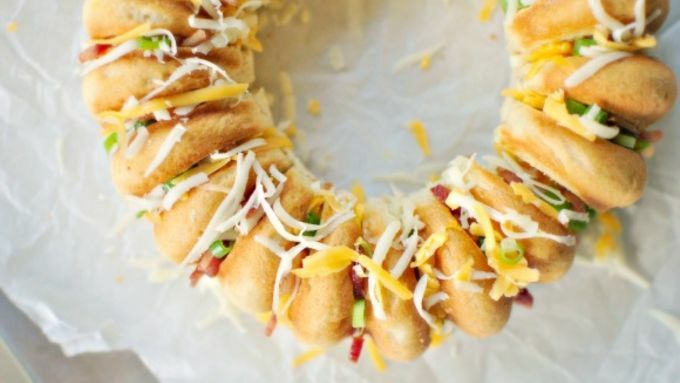 Serve this fun, hot cheesy party ring at your next shindig with a bowl of your favorite dip in the center and your guests can break bread and dip! Enjoy!